Dee DeLuca has Exquisite Style, a Phenomenal Voice and a Captivating Presence. 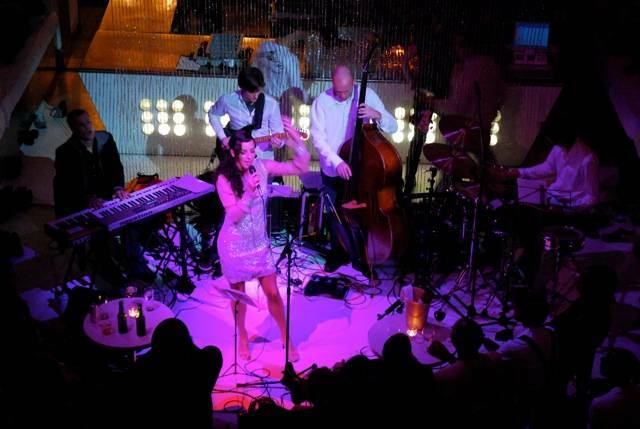 Performing as a duo, trio or with her full band. Dee presents High Class, Jazz with Soul & a little sniff of blues. A performance suitable for any quality event like weddings, corporate events and cocktail parties. But also very appropriate for any concert style occasions, for Dee is gifted enough to hold an audience. Born and raised in Amsterdam The Netherlands, Dee has also lived and performed in places like London, San Francisco and New York. Soaking up different styles and cultures while surrounding herself with great musicians refining her craft. Dee now lives in the Bay of Plenty and TREVOR BRAUNIAS, one of BOP’s best guitarists was the first to collaborate with. Together they have formed an amazing group of musicians to suit any occasion. Available as duo, trio, quartet and 5 piece band. Please specify which formats you are interested in when requesting this band. Dee Deluca was exceptional value for money. Lots of the guests sang along and they worked perfectly in the garden setting. The music is very Jazz orientated but was exactly what we we looking for. Would hire again at the property.